Let me set the scene. You and your partner and 2 other mates and their partners, have all got together for an escape weekend. 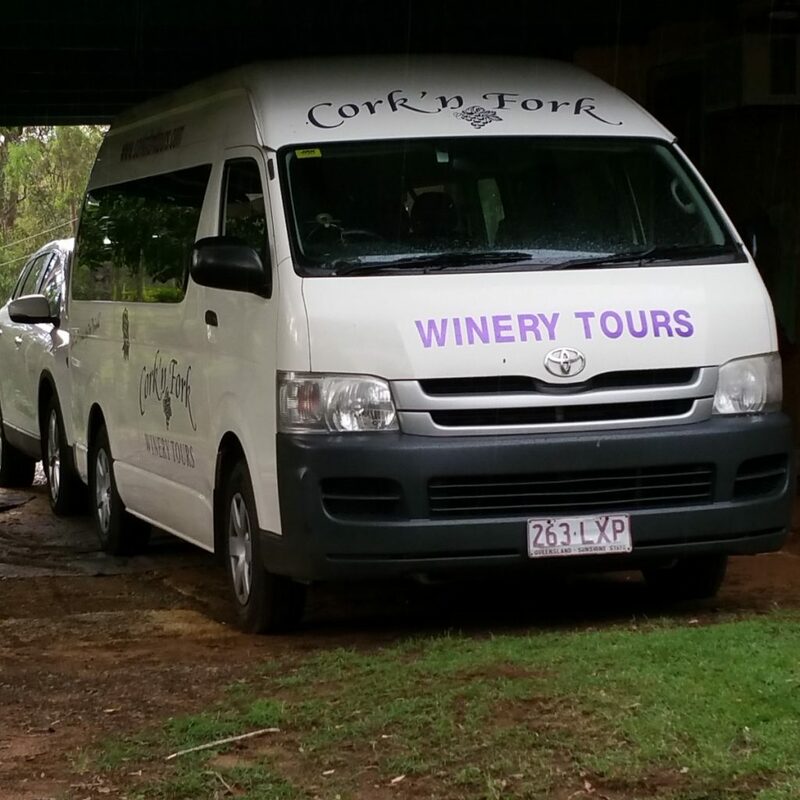 You love the surf, beaches and fun in the sun of the Gold Coast, but also love a wine or two, great food and a couple of the partners are partial to a craft beer and a spirit or two. You give us a call, from the moment you call us, you are given a warm run down of our tour experiences, prices and the fact we pick you all up from your accommodation, door to door at no extra cost. You are confident our experience meets your needs, you do not hesitate you book the date. Deposit is paid. All sorted. The week before the tour a reminder is TXT to your phone saying all is well, the rest of the group have paid in full we are looking forward to picking you all up at 9am from your accommodation address. Once greeted and on board, a brief run down of the day is given along with the lunch menu so that your decisions can be made on the way out. All had a great breakfast was ascertained so the cheese and crackers will come our with a cold bottle of water each after the first tastings. You are all introduced to cellar door staff at the first place, and are welcomed warmly. Your first tasting of the day consists of 3 different white wines, 3 different red wines and 2 different ‘fortified wines’. The correct way to taste wines is shown, to assist you for the rest of the day. With a bit more knowledge under your belts it is off to the second vineyard cellar door for tastings, this is only a short drive away, enough time to munch on local cheese and crackers, which also assists in cleaning the palette, along with cold water in readiness for the next experience. At the second venue, completely different from the first, in that the variety of wines meaning the grape varieties were of choices you have not heard of before. Some include, Marsanne, Fiano, and Malbec just to remember a few. You notice your partner who never usually likes wine actually enjoys a variety! Added bonus for you, now you can enjoy a wine together. Something you never thought would happen. After purchasing a few bottles, from this location and back in the air-conditioned mini coach, the next stop is the distillery. Now, for those of you who do not know and are interested, a winery is a place where wine is made. A brewery is a place where beer is made, and a distillery is a place where spirits and liquors are made. So, the distillery we are very fortunate to visit is the most awarded distillery in Australia and of the small distillers of the world. It is a very quaint little place that has recently been moved to a new accessory dwelling on the same property. More is explained on the day regarding this unique place. Next visit is also our lunch time venue, this group decided earlier on to have a delicious 2 course menu lunch at a winery restaurant. So, after dessert and a well-earned rest, plenty of pictures were taken and a walk around the property to enable lunch to settle it was off to the tasting room. We finish this day off with a visit to a local craft brewery, the Guys partake in a tasting paddle of beers and a few of the local cheeses from the cheese factory. More pictures are taken, some purchases of different cheese have been added to the onboard esky (cooler bag) to keep cool for the journey back to this groups accommodation. We feel as though we have been out for the day with a new group of friends. At the end of the day another great wine tour day experience was had by all. Once home the vehicles are detailed clean ready for a whole new experience the next day! This tour day experience is called our Grape ‘n Hops Day. Our points of difference include different alcohol tour experiences, the supply of nibbles and cold water, door to door pick up and no extra fees, except your drinks at lunch time and any purchases you want along the day. We look forward to you spending a special day with us, as we have with so many over the last 17 years and over 25 years combined experience in the wine tour industry alone. Cheers! Next → Next post: Is Your Christmas A Happy One?